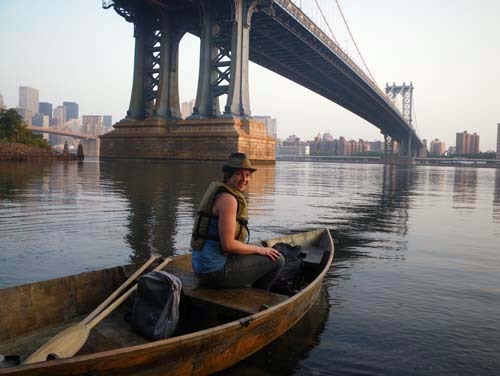 And now this: Time & Current Taxi + Connie Hockaday + Mare Liberum — WorksOnWater Works On Water Blog Blog focused on artists who examine, move over, look at, work with, journey on, use metaphorically, or create new connections to water, rivers, lakes, oceans, or boats. This is an old post from June 27, 2010, but it is one of my favorite Tide and Current Taxi reportbacks. This particular post has a picture-sentence-picture-sentence cadence that reminds me of the picture books I used to read my kids. The more than ten years of reportbacks from Tide and Current Taxi are usually as simple, for the most part letting the photos speak for themselves. no waves or wind and not another boat in sight. Connie was visiting from Portland where she had just completed a degree in Participatory Community Development and Visual Art. We ‘met’ online when she sent me pictures of a beautiful raft that she had made in Portland. 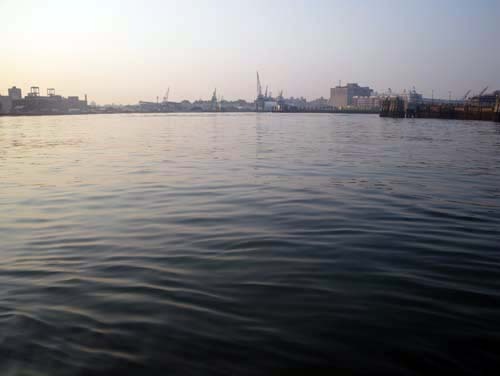 She was inspired by the Floating Nutrinos, who docked for a while in her home town when she was young. “They changed my life.” she said. Read more from the ten years of Marie' Lorenz’ Tide and Current Taxi.